WASHINGTON (Bloomberg) -- BMW AG said today it is recalling about 151,000 vehicles in the U.S. for fuel-pump defects that may reduce engine performance or cause a loss of power-assist for the brakes and steering. BMW, based in Munich, said it will recall about 130,000 vehicles from model years 2007 to 2010. The action covers the 355i, 135i, 535i, X6 xDrive35i Sports Activity Coupes and Z4 Roadsters Drive35i. About 40,000 of the vehicles will need new fuel pumps, BMW said today in an e-mailed statement. BMW said it also notified the U.S. National Highway Traffic Safety Administration of a separate recall for about 20,800 model-year 2008 X5 Sports Activity Vehicles to replace low- pressure fuel pumps. No injuries have been reported, BMW said. NHTSA this year started investigations into BMW's Mini Cooper cars and Z4s for unrelated defects that may cause power steering to fail, raising the risk of a crash. Woodcliff Lake, NJ – October 26, 2010... BMW of North America has notified the US Environmental Protection Agency (EPA) of its intent to conduct a voluntary recall of some model year 2007-2010 BMWs equipped with twin-turbo inline six-cylinder engines, all of which feature BMW's High Precision Injection direct fuel injection system. It has also asked for approval from the California Air Resources Board to conduct this action. Affected vehicles may experience a failure of the high-pressure fuel pump. • MY 2007–2010 335i models. BMW of North America, LLC has been present in the United States since 1975. Rolls-Royce Motor Cars NA, LLC began distributing vehicles in 2003. 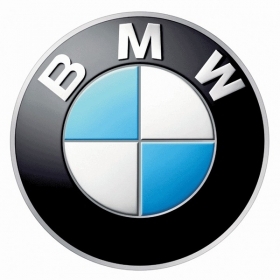 The BMW Group in the United States has grown to include marketing, sales, and financial service organizations for the BMW brand of motor vehicles, including motorcycles, the MINI brand, and the Rolls-Royce brand of Motor Cars; DesignworksUSA, a strategic design consultancy in California; a technology office in Silicon Valley and various other operations throughout the country. BMW Manufacturing Co., LLC in South Carolina is part of BMW Group's global manufacturing network and is the exclusive manufacturing plant for all X5 and X3 Sports Activity Vehicles and X6 Sports Activity Coupes. The BMW Group sales organization is represented in the U.S. through networks of 338 BMW passenger car centers, 336 BMW Sports Activity Vehicle centers, 143 BMW motorcycle retailers, 100 MINI passenger car dealers, and 31 Rolls-Royce Motor Car dealers. BMW (US) Holding Corp., the BMW Group's sales headquarters for North America, is located in Woodcliff Lake, New Jersey. With its three brands – BMW, MINI and Rolls-Royce – the BMW Group is one of the world's most successful premium manufacturers of cars and motorcycles. It operates internationally with 24 production sites in 13 countries and a global sales network with representation in more than 140 countries. During the financial year 2009, the BMW Group sold approximately 1.29 million cars and more than 87,000 motorcycles worldwide. The profit before tax for 2009 was euro 413 million, revenues totaled euro 50.68 billion. At 31.December 2009, the BMW Group had a workforce of approximately 96,000 employees. Long-term thinking and responsible action have long been the foundation of the BMW Group's success. Striving for ecological and social sustainability along the entire value-added chain, taking full responsibility for our products and giving an unequivocal commitment to preserving resources are prime objectives firmly embedded in our corporate strategies. For these reasons, the BMW Group has been sector leader in the Dow Jones Sustainability Indices for the last six years.